Here at WEGC we are ALL about supporting our students to live and learn well. We have a heap of different systems, projects and initiatives that are here to promote and support our young people’s wellbeing and learning. 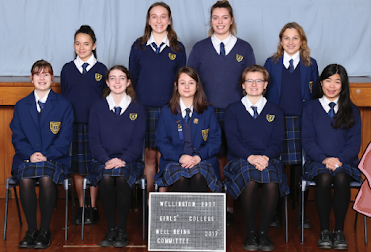 We have two Wellbeing Prefects who lead a team of enthusiastic young people. 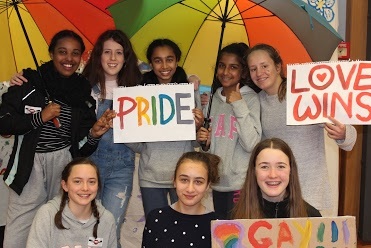 Students can apply for the committee at sign-up day in Term 1, and this year we aim to have small sub-groups of students running projects for the school. Recognition is WEGC's QSA (Queer Straight Alliance); a group that provides support, education, and safety for queer and straight students alike. We meet Tuesday lunchtimes in Room 66. All students are welcome to any meeting. FeminEast is WEGC's feminist group which has a focus on worldly, intersectional issues and the effect they have on us as young people. 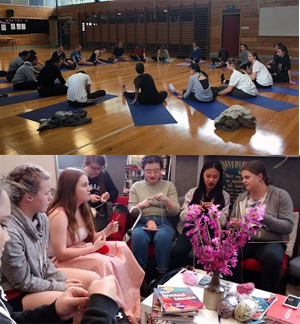 Each year we have a full day for each year group where they focus on wellbeing. We have outside presenters on issues like healthy relationships, gender diversity, mental wellness, being safe online and healthy bodies. Students also get to choose relaxation workshops to do. Anyone can book an appointment to see Dorianne, our Health Nurse at her clinic on MON or THURS lunchtimes. You can see her about any health issue you may be worried about for example, nutrition, skin problems, hearing, vision, smoking, alcohol, mood and mental health, periods, sexual health and contraception. 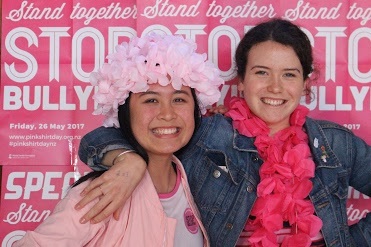 We support Pink Shirt Day with our own twist, by having a day where you can wear a pink lei to support the effort to stop bullying. We are lucky enough to have Katie Allen available to support our 16 years and over students who may be thinking they would like to explore options other than school. Katie can help young people access If you’d like to make an appointment with Katie, then email one of the Hauora team and they can get you in touch. Every year we offer a Travellers Programme to some of our Year 9 Students. Travellers is a small group programme which builds young people's resilience and life skills. It helps young people learn skills to cope with change, loss and transition and to help to build their self esteem and confidence to be able to face life's future challenges. 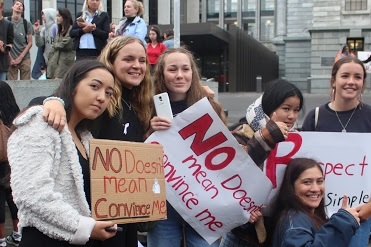 SHIFT is all about improving the wellbeing of young Wellington women through movement, empowerment and fun. 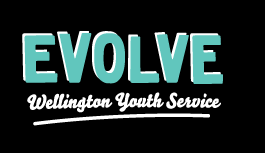 Shift Wellington City is a Youth development organisation which uses sport and recreation to encourage young people to consider character, values, balance and heart.